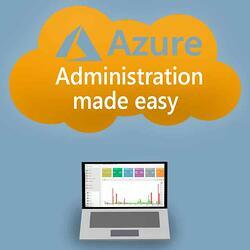 You want to simplify and speed up the management of your Azure services. We'll show you how to quickly and easily create virtual machines, manage network security groups, and monitor Azure Consumption. The webinar address: Administrators, Solutions Architects and Team Leaders. Over 25 years of IT experience as administrator, consultant and product manager as well as years of experience with PowerShell. You don't have time on the date? Register anyway - you will receive the recording afterwards.